When it comes to Cuba's beaches—or, at least the ones that are near Havana—there is one destination that puts all others to shame: Varadero. On paper, it's Caribbean paradise... but it's known to be crawling with tourists. This pushes up the price of accommodations, and adds an additional "yuck" factor to what we had hoped would be serene Caribbean paradise. So it was back to the drawing board. Boca de Camarioca (or "Mouth of Camarioca") is a small Cuban fishing village that sits at the mouth of (you guessed it!) the Camarioca River. 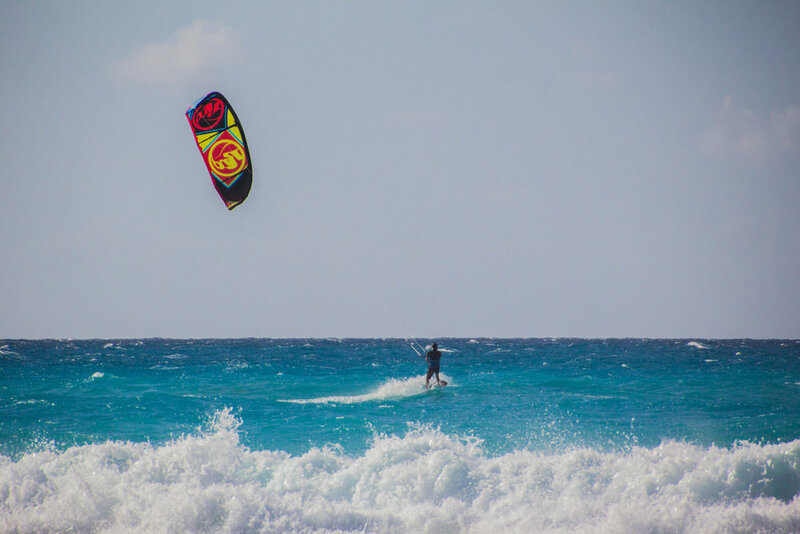 Geographically, it sits in between the picturesque Varadero peninsula, and a smaller coastal city called Matanzas. Most of the houses in the town are concentrated on the banks of this river and are not far from the Vía Blanca Highway that runs eastward from Havana. It's a tiny town. Driving on the highway, it takes less than 60 seconds to pass through it, but I'd say that it's worth a stop. This little beach area was nice, with gorgeous blue water and a soft-sandy seafloor extending outward into the ocean... but it was quite small. The beach consists of a small peninsula that reaches out into the ocean to meet an area of sharp volcanic rocks. It was a nice play to lay in the sun, but not much else. Directly adjacent to this beach is Boca de Camarioca's school. As we walked by in sunglasses and flip-flops, there were middle-school-aged children in gym class on a run-down basketball court. I remember looking at them from the sand and thinking how much better this was compared to the dimly-lit gymnasium where I had had gym class back in Ohio. Our accommodations were nearby, so the streets around us were often flooded with kids in school uniforms. We found these accommodations through Airbnb, and I would have recommended it to you, but the listing seems to have disappeared. I'm not sure what happened, but shout out to Lisandro anyway! Walking through the streets of Boca de Camarioca, we saw many of the same classic Oldsmobile cars that we had seen back in Havana. However, not all of them had the stereotypical 1950s design; many of them looked to be from the 1970s or 1980s. In my walks around this town, it was clear that the locals were in the process of learning how to capitalize on this new age of tourism in Cuba. There were rooms available for rent in almost every house, and many of the people we interacted with seemed to be on a mission to stay in our good graces. At one point, we boarded an over-crowded camione (which is the Cuban equivalent of a public bus) to travel further down the coast and found ourselves standing next to an older couple who was sitting down. I was with my lady friend at this point, and upon seeing her, the old woman slapped her husband's shoulder with the back of her hand and said (translated), "Give her your seat! We want to make a good impression!" Later in my stay here, I got off one of these camiones alone, and was befriended by an older man who enthusiastically struck up a conversation with me. He would eventually tell me (translated again) that he had a spare room available in his house, if I was looking for accommodations. When I told him that I already had a place to stay, it seemed to hurt his feelings. "Well, I have a room," he said, sadly looking at his shoes as he walked along side me. They didn't seem to have quite figured it out yet, but they were well on their way. On our first night in Boca de Camarioca, we had a seafood dinner at a local restaurant and then took one long walk across this little town at sunset. Even in the gentle hues of twilight, it was very windy, but we had been told that this part of Cuba is always windy during the week before Easter (that's when we were there). Much Boca de Camarioca felt like other parts of Latin America that I had traveled to prior to starting this website, but with one major difference: the hoards of stray dogs that roamed the streets at night were all extremely human-friendly. There was no growling or gnashing of teeth—only curious excitement and wagging tails. My natural impulse was to carefully stay as far away from these strays as possible, but all across Cuba, stray dogs turned out to absolutely LOVE people. I'm told this is because Cubans feel compelled to take care of their strays, unlike most other countries, where the relationship between humans and stray dogs borders on inter-species warfare. We met a number of cute (albeit, mangy) little puppies on this walk. This walk also brought us past a huge baseball field. I instantly recalled my baseball-loving father going on and on about how many great ball players are in Cuba. 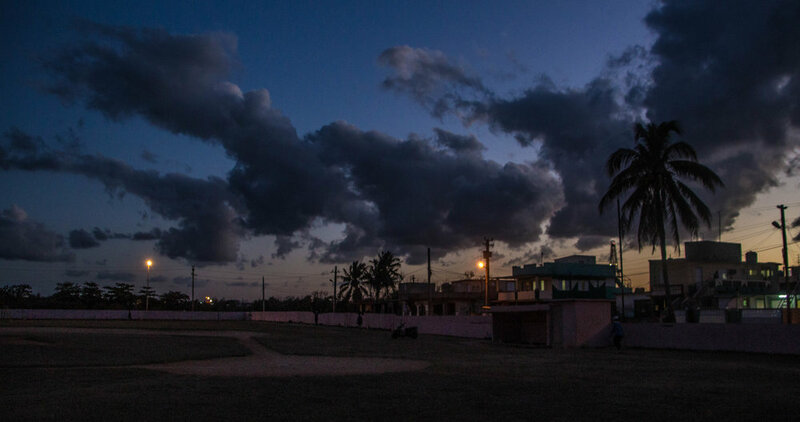 Even at that late hour, a few men were running laps around this field, so it seems that this was one of Cuba's fabled baseball towns. Seafood & baseball. I'm not totally sure what the most natural segue is for this little historical anecdote, so I'm just going to launch into it. Boca de Camarioca was the site of an interesting political event in 1965. In the wake of the Cuban revolution, many of Cuba's upper class and intelligentsia were fleeing the country, and the majority of them were doing so on make-shift boats or small rafts. 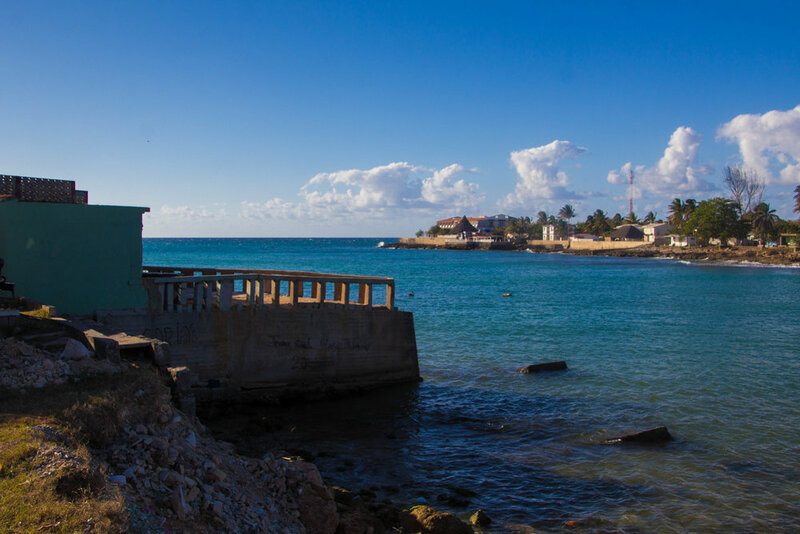 Boca de Camarioca was the location of the first government-approved mass exodus from Cuba. For a month, the port of Boca de Camarioca was open for exiles to escape with their relatives by boat. Through this route, 2,979 people were able to escape, while another 2,104 waited to be collected by boats from the U.S. government. For that month, I'd imagine that this town looked more like a refugee camp than the sleepy sea-side town it is now. Today, since the Cuban government relocated the residents of an entirely separate fishing village called Las Morlas to live here, this little fishing village is growing. Construction licenses have recently been issued for housing projects in this town, so we can expect increased growth in the near future. 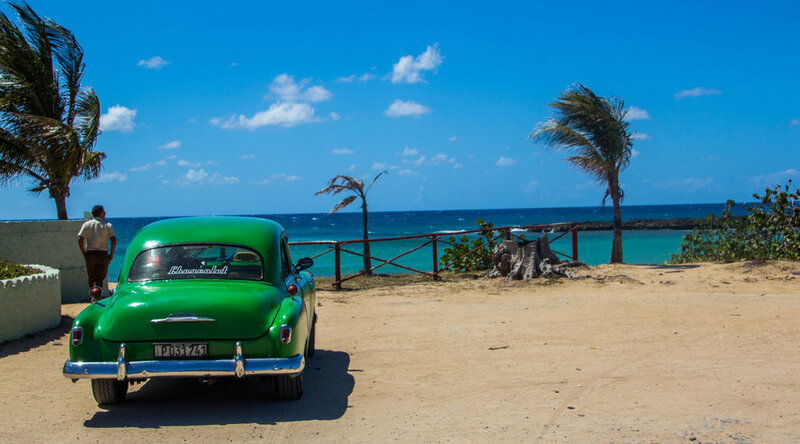 And with the advent of American tourism into Cuba, things will be changing. So here's a shot of the sunset in Boca de Camarioca—a momento of this sleepy little town as it was—before we move on. 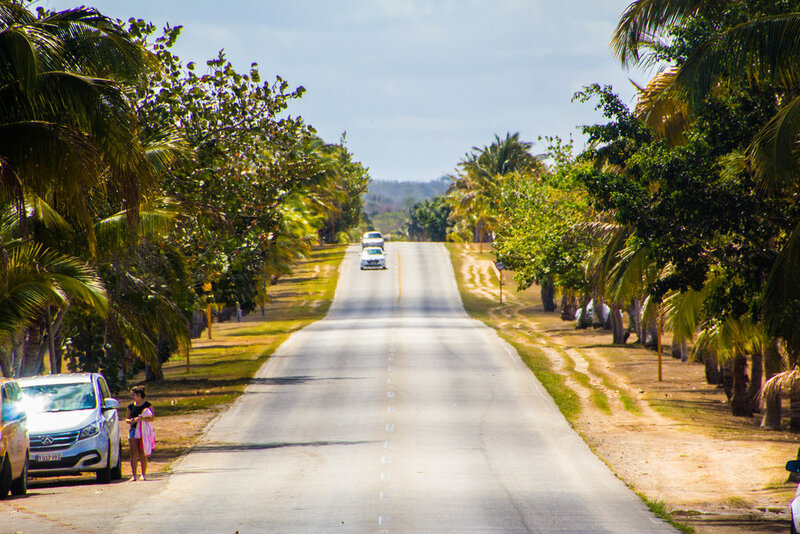 The last stop on the Vía Blanca Highway, the Hicacos Peninsula is a long, skinny paradise that stretches out into the Caribbean for 11 miles (18 kilometers). At its widest point, it is 1.8 kilometers wide (that's less than a mile), but most of it is much narrower. For the whole 11 miles of this peninsula, it's non-stop white, sandy beaches, just like in the post cards. You may recall seeing some spectacular photos of this place in our travel plans article—spoiler alert: reality did not disappoint. I came to Varadero twice, both times waiting at the crowded local bus stops to catch the camione. Camiones run the length of the Vía Blanca Highway, and cost 0.25 to 0.50 CUC (0.25 to 0.50 USD) to ride for as long as you want. After over-paying so drastically for the private taxi to Boca de Camarioca, I was determined to figure out the public transportation, even if it was supposed to just be for the locals. I went into detail on how to catch camiones in Peter's Guide To Traveling To Cuba As An American—just click on "Planning Your Trip" to zoom down to the right section. If you zoom into the map above, you'll see that there is actually a small waterway separating Varadero from the mainland, which technically makes it an island. There is one bridge that crosses this canal, but before this bridge, there is a giant roundabout on the mainland. I wasn't sure if my camione was going to cross this bridge onto the peninsula so I hopped off at the round about; this was a mistake. Getting across this roundabout on foot and across the bridge was a much longer walk than I had expected. It turned out that camiones drive the full length of Varadero, which actually takes forever. Riding on these Varadero camiones with me were hotel and hospitality workers of all varieties. They would hop on the bus in small towns along the coast to make the long ride to tourist land where they could earn enough money to support their families. Speaking to them, I met receptionists, dancers, chefs, waiters, and tour guides. Most of them didn't speak English, but my Spanish was (usually) good enough to bridge the gap. I once spent about an hour riding a camione around Varadero trying to get back to Boca de Camrioca. I kept thinking that it was going to turn around at at any moment, but it just didn't. It just kept driving further out along the peninsula. At one point, we spent almost 30 minutes parked at a restaurant while waiters loaded cases of beer into the belly of our vehicle. The driver, who clenched a Cuban cigar in his teeth, came over to talk to me at one of his stops. It was unusual for a white person to be riding with him. Skeptical of me, he asked (in Spanish) where I was going. It was hard for me to understand his accent, but I told him that I was headed to Boca de Camarioca. He still looked puzzled. Then he asked me if I had a woman waiting for me there. (This was, apparently, the only sensible explanation for my presence on his bus.) I chuckled and said "yes." He and a few Cuban men around me roared with laughter, their skepticism dissipating. It seemed the fact that I too was beholden to the female gender had earned me a spot among them. 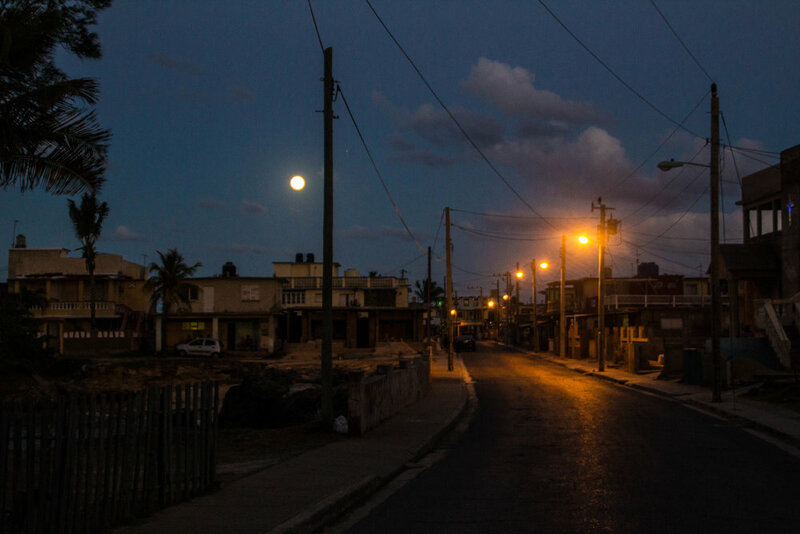 Back in the town of Varadero, there wasn't much in the way of street life—neither from Cubans nor for tourists. Uncharacteristically smooth roads went further out into the peninsula, and run-down hotels sat quietly in the sunlight. It was oddly serene. I had expected crowds of tourists, but this was relatively empty. We walked a long way down this beach. I would later return and ride a camione to almost the very tip of the peninsula. It became apparent that larger hotels meant large groups of tourist sitting directly in front of them. As we walked, we went in and out of crowded areas. Here are a few pictures from those areas; I love the shot of the rent-a-cops walking down the beach. As the sun began to set on our time in Varadero, I sort of regretted the fact that we weren't actually staying here. I was aloof, and didn't want to go to a destination that was going to be full of tourists... but these beaches were great! They put the little beach back in Boca de Camarioca to shame. What would have been so wrong with just taking a day to relax? There is a modest structure on the side of the road where visitors must pay for entry to the cave. Entry to Cueva de Saturno costs 5 CUC (5 USD). From there, it's about a 1 minute hike into the jungle, and down a winding flight of stairs into the earth's gaping maw. In coming here, we had thought we were getting ourselves off the beaten path, but this turned out to be a major tourist spot as well. However, the crowds of people did little to hinder how cool this place was. 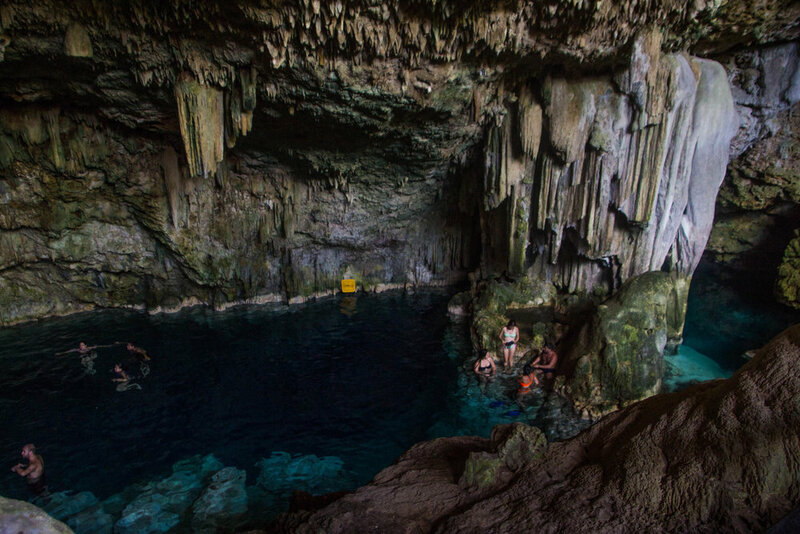 Cueva de Saturno is famous for being a cave pool where you can swim. The waters are, quit literally, crystal clear. Looking down, you can see every bump in the rock a clear as if it was directly in front of you. 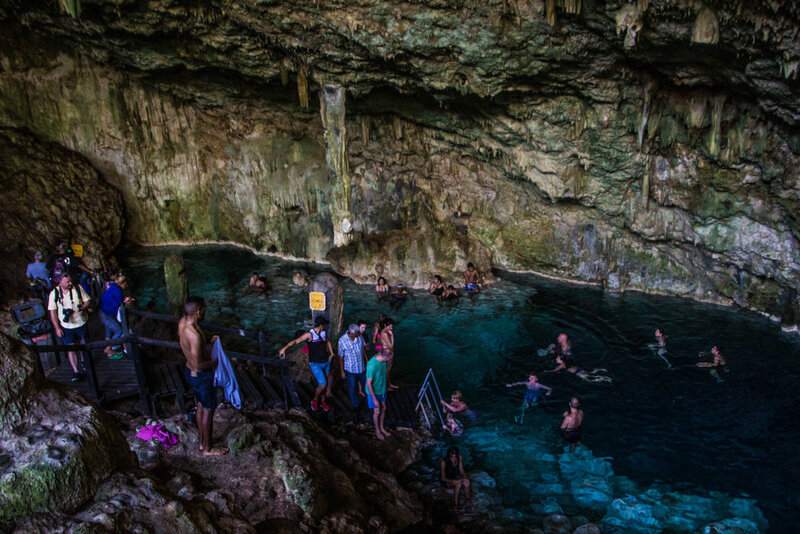 The only thing obscuring vision into the depths of these subterranean pools is the lack of light in deeper areas—and some parts of these cave pools are deep enough that you can do a damn swan dive into them. I'd be lying if I said that the water is warm, but it's definitely worth being cold. I had a great time swimming around in here. Below are a few pictures that I took inside the cave. I think they do a decent job of capturing the clarity of the water. Oh what the hell. You need to see a video of this place to get a feel for it. Here's a short video with a few clips of swimming around in these cave pools. Can ya dig it? 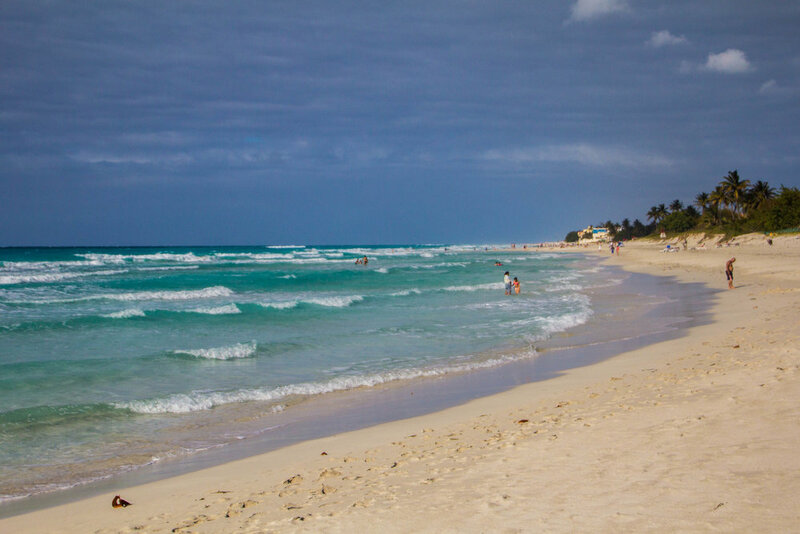 Being relatively isolated, Cuba has some of the Caribbean's most pristine beaches. You'll be hard-pressed to find trash on these beaches, as is common in more globalized countries. 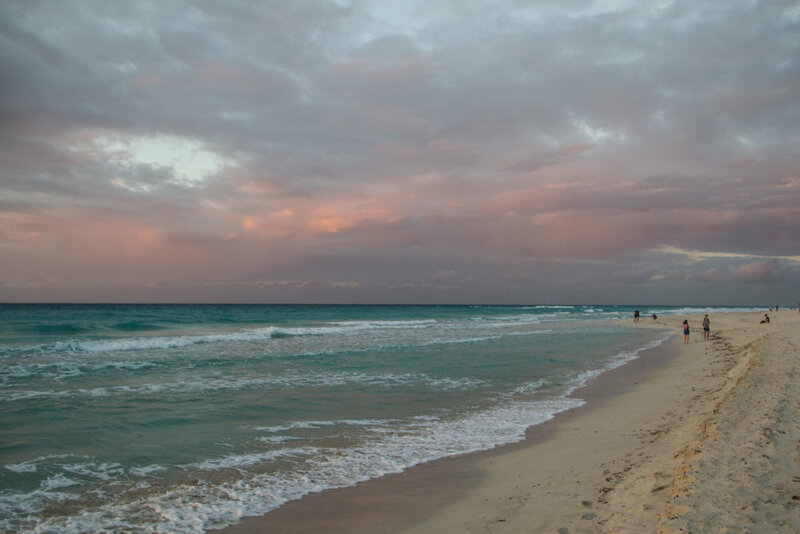 But if you come to Cuba solely for it's beaches, you're missing the point. 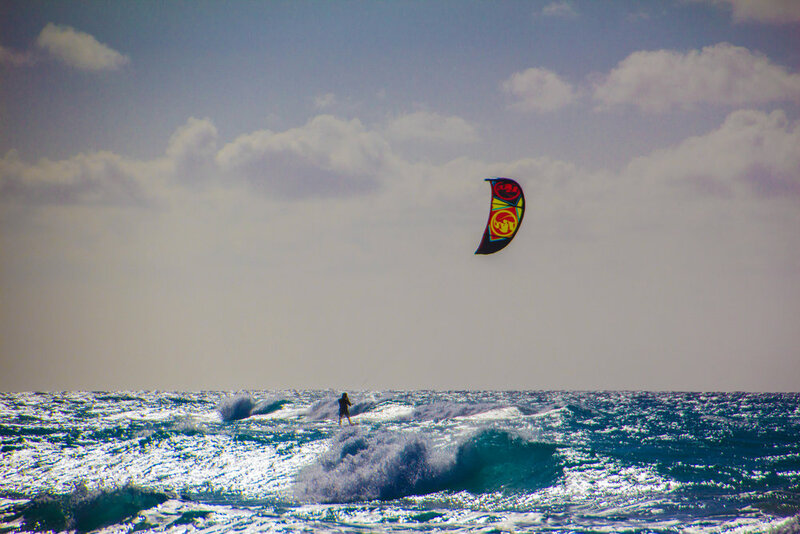 The Cuban identity is rooted in culture and politics, and in order to engage with these facets of the country, you'll have to get off the beach and into the cities. Hence, in our next article, we're going to disembark from our time at the beach and in tiny Cuban towns to pay a visit to a nearby city called Matanzas. Historically, Matanzas has been a center for arts and music in Cuba, but today it's a pretty obscure place. I'm going tell you up-front that I think this is the most underrated city in Cuba. Stay tuned!